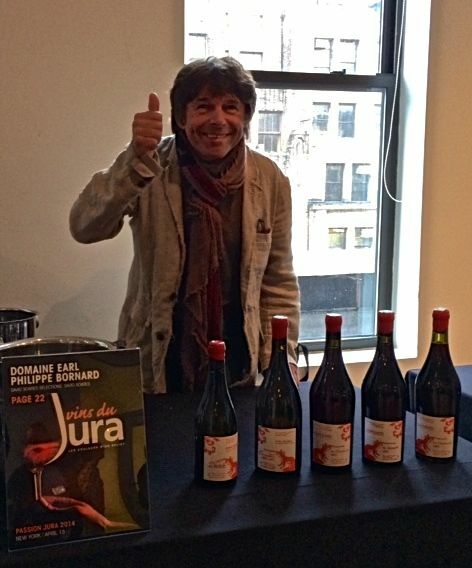 Philippe Bornard lives in the village of Pupillin near Arbois and the Swiss border. His vineyards were inherited from his father, who previously sold only to co-ops. 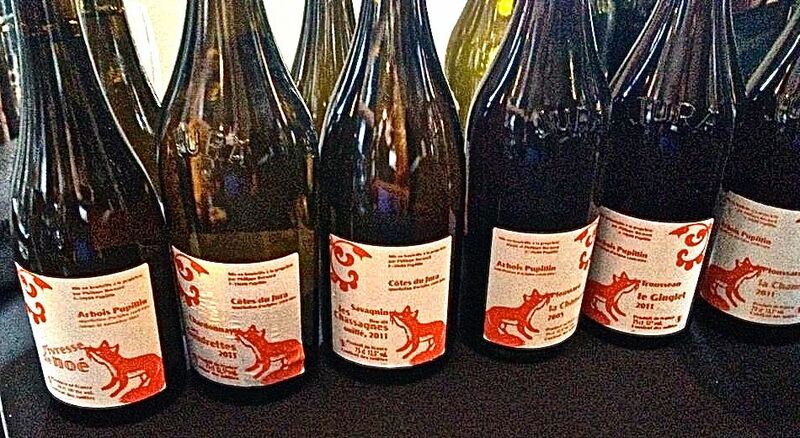 It was Pierre Overnoy, another Arbois winemaker, who eventually convinced Philippe to begin to make his own wine, and now, with over 27 years of experience under his belt, he is working with nearly 6 hectares of 30-year old vines, and farms exclusively biodynamically - officially certified in 2012. The grapes are grown at high altitudes, on limestone and clay soils, allowing a slow ripening. Typically the wine begins a long, slow maceration in fiberglass, and then is moved to large older oak barrels for maturation, which lasts about one year. 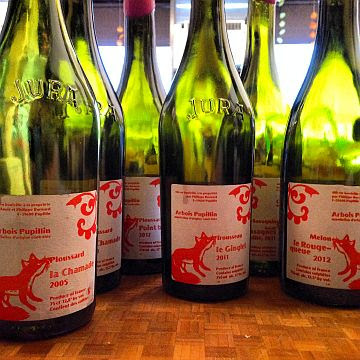 Wines are of two appellations: Côtes du Jura and Arbois-Pupillin, and reflect beautifully the terroir of the Jura. You’ll agree from the first sip, we’re sure. From the Argot “guiguer” or to jump, this cuvée has been named “le Ginglet” because it is a wine of pleasure, one that can make one jump for excitement. Raised on red shale and gravelly terrain, the grapes are de-stemmed and stirred once a day, and allowed to ferment for three weeks in the tank before ageing, also in the tank, for 8-15 months. Vin de France, "Plou Plou Point Barre"
From vines planted in 1967 and 1973 on gray and red marl. All grapes are hand-harvested with carbonic maceration taking place in stainless steel for 21 days, then transferred to 10hl oak barrels for rest for 18 months.